“I have nothing to wear!” Do you say this? I certainly do! However, although I have wardrobes full of designer clothes, I love a bargain. A mix of Designer and High Street works so well. Femme Luxe Finery has some very nice outfits for Spring 2019. The most important thing is that you do not need to spend a fortune to look super chic and gorgeous. I love these outfits from Femme Luxe. They inject some fresh, up to the minute vavavoom into my wardrobe. Femme Luxe are well made in England, which is a particular delight for me, I love supporting British brands. As you can see from my photos, they are well cut, in good fabrics and really flatter my figure. The all in ones elongate the leg and enhance my curves at the same time. The prices are AMAZING, especially these pieces that are on sale, so bag a bargain! These pics were taken at Woburn Abbey on a lovely Spring Day! I’ll give details at the bottom incase you would like to visit. Just half an hour from London. I am wearing Jasmine, above, together with my Jimmy Choo Suede Boots, Chanel Sunglasses and Chanel watch. Teetering on my absurdly high Jimmy Choos…. but they look good! This is a good choice for a trip, it will not crease and looks perfect straight out of a suitcase. I love good lounge wear. Perfect for chilling out at home and for airline travel. Look great but be comfortable for those long hours in the sky. I always wear a Loungewear Suit on a long flight, then just before landing I change into something smarter before disembarking and arriving in my hotel by luxury Limousine. I would change into something like the Rust all in one in my first photo. This will not crease, and I will arrive fresh and looking like a Diva! Lexi Loungewear, above, teamed here with Nike trainers. Blake – This is another great Lounge suit, perfect for those lazy Sunday mornings! 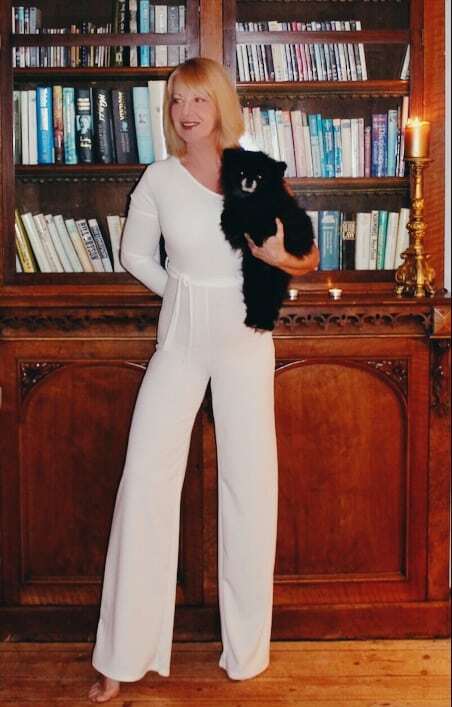 Last, but not least is my White belted one shoulder Jumpsuit – Evelyn. This is going to be coming with me on sunshine trips this Spring. The perfect cool but not trying to hard, evening outfit by a Pool or at an evening Pool party. This will be a staple in my Spring travel wardrobe! It looks great, doesn’t crease and the white colour is absolutely stunning! 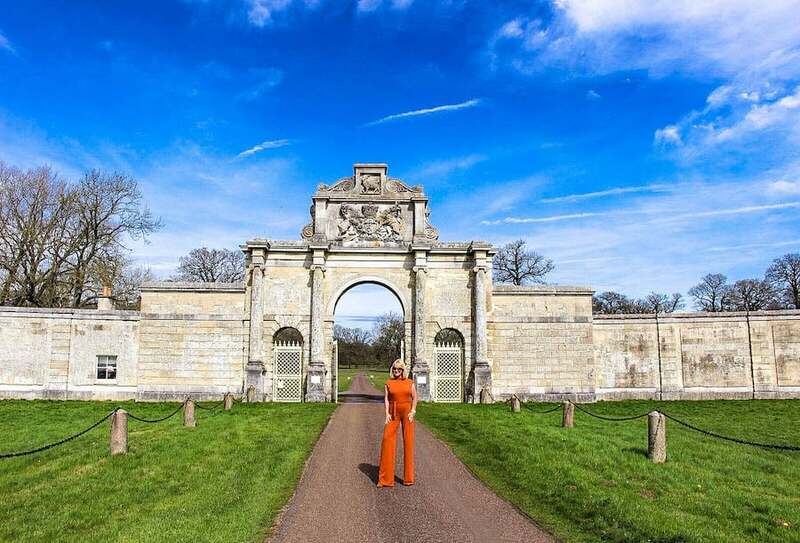 Visit Woburn and Woburn Abbey for a great day out near London…. I might blog about it if enough of you are interested!